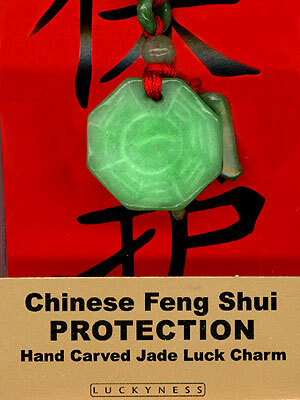 Carry this luck charm with you always and you and your family can be protected from evil, negativity and harm, and you life can overflow with success and abundance. Hand carved jade or jade-quartz bogwa mirror. Bagwa Mirrors reflect Protection and abundance.